Etiderm is a formulated hypoallergenic and antiseptic shampoo for dogs. 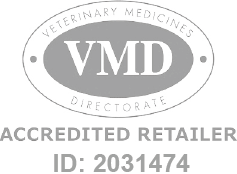 Etiderm Shampoo is a Prescription Only Veterinary Medicine and by law requires a prescription from your vet. Etiderm is a gentle, hypoallergenic antiseptic shampoo, containing chitosanide which creates a lasting protective film on the skin and hair.